All it takes is some simple math regarding the essential oil industry to realize that a large portion of essential oils in the marketplace are not genuine essential oils (reports of 25% – 40% of essential oils may be adulterated, diluted, or outright fake). Something you get when you buy from EOX is not only great customer service and a 100% Satisfaction Guarantee, but a Certificate of Analysis with every essential oil we offer through EOX. Just go to any individual essential oil or essential oil blend, and you’ll find the certificate as a clickable link to a PDF file. Having said that, I want to empower you, the consumer, the enthusiast, the manufacturer, the practitioner or aromatherapist to make informed choices regarding your essential oil purchases. The better informed you are, the better you can appreciate the quality of the essential oils found on EOX. It’s a “win win” for everyone! I sincerely couldn’t disagree more. There is an extremely valid test for genuine essential oils and that is our 5 senses. In the Western world, we’ve been taught to dismiss and ignore much of our sensory and intuitive input. But we are an integral part of nature, and nature is an integral part of us. Part of reclaiming that connection is by trusting what our senses and intuition is telling us. Now, before I go into the methods of testing our essential oils at home, let’s first discuss the common methods by which essential oils are adulterated or faked. 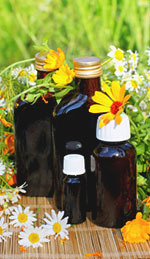 There are several typical methods of producing an adulterated essential oil. Some fragrance oils are quite remarkably similar to natural plant essences, but a good nose and intuition can sense the false fragrance surprisingly well. In fact, on March 20, 2014, researchers discovered that the human nose has roughly 400 types of scent receptors that can detect at least 1 trillion different odors (1). That is vastly beyond the previous estimate of just 10,000 scents. That is a powerful sense we have at our disposal naturally! Fragrance oils – typically blended with a carrier oil, such as grapeseed oil, since grapeseed is the most neutral smelling of all oils. 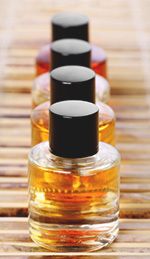 Fragrance oils are inexpensive to produce, and are always synthetic. Most don’t have a single plant essence in them, and will not have any of the effects that a genuine essential oil will have. Diluted essential oils – basically essential oils that have been “cut” with a neutral oil such as grapeseed oil or other carrier oil. 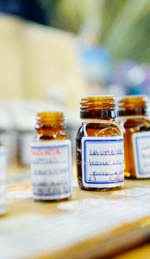 Diluted essential oils, depending on the level of dilution, can be difficult to detect as well, although most carrier oils will have some color to them. This color will carry into the diluted oil. Did it look and feel like an oil? Was it watery at all? Did it remain in the shape of a half-moon or did it immediately disperse in the bottom of the glass? Tilt the glass and see if the oil runs like water, or is resistant to movement like you would expect an oil to be. Does it look and smell as you expected it to? Does it smell natural, organic, and exactly like a plant or flower? Touch the oil and rub it between your fingers. It should feel thick, viscous, and just as you would expect an oil to feel. For minty oils, you should feel a tangible cooling sensation, and so on. USE WHITE PAPER: A great way to check the purity of an essential oil is to examine it visually. This requires a small, clear vial to place some of the oil in question into, a bright light that can be focused on the oil, and as bright white of paper as you can find. Place some of the oil into the clear vial, and place it in front of the white paper. Shine the bright light onto it and examine. Does the oil look clear? Is there anything suspended in the oil? Does the oil appear to be a single material inside the vial, or do you see waves, much like heat rising off the hot pavement in summertime? Is there any separation whatsoever in the oil or any thin layer floating at the top of the oil? LET IT SIT OUT: Genuine essential oils will not evaporate overnight like a few drops of alcohol or water will. Those few drops you placed in the bottom of the glass should be there the next morning, most-likely still possessing a scent, albeit a less intense scent for those oils with a Top Note as their main characteristic. FREEZE YOUR OIL: Freezing your essential oil will not harm it, but if it’s been diluted with a carrier oil such as a vegetable oil, it will separate from the essential oil. Also, if there’s water in your essential oil, it will freeze and separate as well. Alcohol doesn’t freeze, but it may separate from the essential oil in the freezer as well. COMPARE PAST OILS: I always keep a reference sample of a previous essential oil purchase for at least 6 months, in a sealed glass container, away from light, and refrigerated. This way, I can reliably compare essential oils from batch to batch. And, contrary to what you might initially think; if your essential oil is exactly the same consistency and scent, from order to order, this may actually be a bad thing! Mother Nature is infinitely variable, and plants will vary from harvest to harvest, location to location. A genuine essential oil will likely smell differently from batch to batch, and can be a great indicator of an oil that is genuine. CHECK THE LOT NUMBER: This is not always possible, but even essential oils should have a lot number for traceability. Keep a journal of lot numbers for your essential oils when you purchase them, and compare when you purchase again. If the same lot number is on your bottle for a purchase a year later, you know that the essential oil you purchased is at least a year old. If the oil seems exactly the same as the oil you had, it may indicate that there are synthetics in the oil, as most essential oils, even when properly stored, will lose some of their initial strength and character. INTENDED EFFECTS: I saved this one for last because once we throw all the data way, once we stop focusing on numbers and oil separation and lot numbers and comparisons, we need to ask ourselves the most key question: Did the essential oil have the effects I was expecting? Adulterated and counterfeit essential oils will never have the intended effect because they do not contain the concentrated plant essences that are responsible for the various effects eo’s have on our mind and body. Again, the use of essential oils is an art that is in perfect harmony with our senses. They are abundant with natural energy and it’s easy to feel a connection to genuine, natural products such as the high quality, guaranteed authentic oils that we only offer here at EOX. I may sound like a broken record, but learning to trust your senses and your intuition when it comes to essential oils is one of the most powerful means you have at your disposal. And, perhaps worst of all, is if you are using adulterated or outright fake essential oils, as mentioned above, they will not have the therapeutic effects you’re looking for, and everyone loses. Essential oils are incredibly concentrated bursts of plant energy, with effects that are far beyond placebo effects. Anyone who has experienced the powerful healing, soothing, and numerous other positive effects of essential oils will know what that connection feels like. Trust that connection that only genuine essential oils can provide. Trust the results of proper application and use of essential oils can bring. Trust yourself and your observations regarding that specific oil. Sit with it. Contemplate it. Smell it. Play with the oil by warming it, adding it to a candle wick, placing it in a sachet that you place under your pillow, and so on. Lastly, it’s clichè to ask for comments from readers, but I would be very interested to hear any other methods people have discovered to help identify and verify the authenticity of their essential oils. After all, EOX is intended to be a co-op, powered by you, and we’re thankful for all of the input we receive daily here at Essential Oil Exchange. Williams, Sarah CP. “Human Nose Can Detect a Trillion Smells.” ScienceMag.com. N.p., 12 Mar. 2014. Web. 12 May 2015. This entry was posted in Purchasing Essential Oils on May 12, 2015 by Keith Cleversley. One of the most frequent questions we receive at Essential Oil Exchange is what makes an essential oil suitable for use in aromatherapy. An aromatherapy oil should always be therapeutic-grade, a term that we discuss in detail in “Essential Oils and Aromatherapy: What is Therapeutic Grade?” Basically, a therapeutic-grade aromatherapy oil has been distilled under lower temperatures and pressures than mass-produced commercial-grade oils, in order to create an essential oil with a range and ratio of constituents that are as close to the living plant as possible. Because essential oils represent highly concentrated versions of these constituents, this makes aromatherapeutic-grade oils a power tool in the holistic healthcare practitioner’s toolkit. 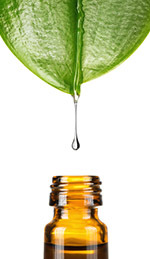 Although therapeutic-grade oils are often organic, this isn’t a necessary component of the rating: whether they’ve been organically or conventionally grown, essential oils are rated therapeutic-grade if they’ve been grown, harvested, distilled and stored using optimal techniques designed to preserve the greatest range of active constituents. In addition, aromatherapy oils must be free of synthetic additives and cannot be adulterated with other oils not listed on the label—although blends that contain a stated mixture of essential oils may be used by some aromatherapists. For instance, to be therapeutic grade, a lavender essential oil cannot be adulterated with either synthetic lavender oil constituents or lavandin (spike lavender) oil, which produces different therapeutic effects. While this means that therapeutic-grade aromatherapy oils are more expensive, the extra price is worth it since they are being used to produce a desired therapeutic effect. While not suitable for aromtherapy, non-therapeutic grade essential oils can still be used in detergents, soaps, candles, and personal fragrances. When buying an essential oil, let your intention for its use guide your purchase: do you want to use your essential oil in aromatherapy? As a cleanser or perfume? In soap or candle making? For purposes other than aromatherapy, you can save by buying inexpensive commercial-grade essential oils, including essential oils that have been pre-blended into a carrier oil such as almond or olive oil for ease of use. Although pre-blended oils have a shorter shelf life, they are ideal if you want to get creative in making your own fragrances and bath products. Make Your Own Herbal Oil Infusions at Home! With a little time and experimentation, you can also make your own herbal oil infusions by steeping raw plant material into a carrier oil such as olive, jojoba, or almond oil. Although the finished product will not be as concentrated as a steam-distilled essential oil, you will end up with a versatile finished oil that can be used in soap and candle making, fragrances, bath oils, and other homemade products. Preparation: Pour your chosen carrier oil—olive, jojoba, or almond oils work well—into a large screw-cap glass bottle until it is half full, then pack the bottle with the plant material you want to infuse. Lavender works well in this preparation, but not all aromatic plants do, so make sure to research the plant you want to infuse before trying this recipe. Screw the cap on tight and let the bottle sit in a cool, dark place for at least 3 days, shaking the bottle once every 24 hours. Strain the finished oil through cheesecloth into a dark glass or stainless steel bottle. If the aroma is too weak, try adding a bit more raw plant material and letting it steep an extra day or so before straining the oil. Stored in a cool, dry place, this mixture will last about 6 months—long enough to fulfill all your perfumery and crafting needs! This entry was posted in Clinical Aromatherapy, Purchasing Essential Oils on January 7, 2014 by Keith Cleversley. As aromatherapy rises in popularity, there has also been a corresponding rise in the demand for organic essential oils. Discerning customers, as well as practitioners in alternative and complementary medicine, are interested in buying the best-quality oils for therapeutic work at home and in aromatherapy; for many, that means buying organic essential oils. However, are organic oils automatically better quality? The answer may surprise you. The official definition of an organic product means that it has been produced without the use of artificial pesticides, herbicides, growth agents, or additives. Antibiotic-free beef or fruits and vegetables grown without artificial fertilizers are examples of organic foods. In addition, certified-organic essential oils have been verified by the U.S. Department of Agriculture to be free of adulterants and synthetic additives. Similar government agencies do this kind of certification in Australia, Japan, the United Kingdom, and other countries. In general, it is not the actual products but the farm or facility where the products are grown or processed that receive an organic certification. These days, the word organic has become a shorthand for pure, natural, and high quality. However, when it comes to essential oils, there are many factors that determine their quality and suitability for therapeutic use—and surprisingly, being organically produced isn’t necessarily one of them. While the way plants were grown will certainly influence quality, other factors such as time of harvest, how the plants were harvested, method of distillation, and aftercare of the finished oil are equally important in producing a high-quality essential oil. All these factors could make a conventionally grown but professionally processed essential oil better for aromatherapeutic work than an organic essential oil that was harvested and distilled poorly. All this means is that essential oils don’t have to be organic to be therapeutic grade. In brief, therapeutic-grade essential oils are generally distilled at lower temperatures and pressures in order to preserve a range and ratio of constituents that is closer to that of the living plant. Therapeutic-grade oils are also used in cosmetics, skin care products and perfumes; commercial-grade oils are distilled in larger, more cost-effective batches and are used in cleansers, detergents, and food flavoring. There’s still plenty of reason to seek out organic essential oils, not least of which is that worldwide demand for organic products has enabled more and more farmers to acquire the equipment needed to produce therapeutic-grade organic essential oils. When you buy an organic oil, you know you’re getting a product that is closer to nature and can be assured that it will have the therapeutic effects you want it to, free of synthetic additives or contaminants. Plus, you’ll have the satisfaction of supporting small organic farmers and voting with your dollar against the use of synthetic fertilizers and pesticides. At Essential Oil Exchange, we strive to source the highest-quality therapeutic grade oils from micro-distillers around the world. We never purchase oils that have been adulterated with synthetic compounds or cheap vegetable oil, so you can shop our line of 100% pure essential oils with confidence for all your aromatherapy needs! This entry was posted in Essential Oils, Purchasing Essential Oils and tagged aromatherapy on December 12, 2013 by Keith Cleversley. Essential oils are one of the most concentrated therapeutic agents available in complementary and alternative medicine, and for aromatherapy it is usually best to buy therapeutic-grade, professionally produced essential oils. However, if you want to obtain essential oils for non-therapeutic uses without breaking the bank, you can easily learn how to make essential oils from scratch at home. While some plant materials require special equipment and processing, others can be steam distilled in your own kitchen. The great benefit of learning how to make essential oils from scratch at home is that it allows you to affordably produce larger batches of oils for use in crafts like soap and candle making, as well as blending your own perfumes. Read on to learn the basics of making essential oils at home. What is an Essential Oil? An essential oil is a concentrate of the volatile compounds found in aromatic plants. These compounds can easily transition from one phase state to another; in this case, from a liquid to a gas when heat is applied to the raw plant material. Steam distillation uses steam to vaporize these volatile compounds and liberate them from the plant material as a gas. This vapor is then cooled, separated from the water vapor that is also distilled from the plant material, and piped into a condenser where it reforms into a pure essential oil. Purchase or build a steam distiller: You handy types out there can find many instructional sites on how to build a steam distiller. Alternatively, you can purchase a distiller: models start at about $200, affordable if you plan on making a lot of essential oils. The crucial elements of any distiller are a large pot with a grated compartment or perforated shelf, like a vegetable steamer; a condenser to collect and cool the steam produced by distillation; and a separator or essencier, which passively separates the oil and water distillate (called a hydrosol) into different containers. Harvest or buy raw material: If you can, it’s best to harvest your own plant material, as it will be fresher and you’ll have a better idea of its quality. Research the harvesting instructions for the type of plant oil you want to distill, so that you know what part of the plant to harvest for its oil; many species have an optimal season for harvesting, and the time of day may also make a difference. If you’re buying plant material for distillation, look for undamaged whole plant parts (never powdered) and, if possible, ask the seller when they were harvested. Dry your plant material: It’s usually advisable to dry plants out of direct sunlight, although some species such as lavender and peppermint are dried in the field after being cut. In any case, don’t over dry your plants—make sure they’re still supple rather than brittle—and don’t get them wet once they’ve dried. Steam distill your material as soon as possible after drying. Add water to the reservoir of your steam distiller: Use soft, clean water and make sure there’s enough for the length of the distillation you want to do. This will depend on the amount and type of plant material you’re distilling; some types of raw material can take up to 6 hours to distill. Place your dried raw material onto the grate or false bottom of the reservoir above the water, making sure the material doesn’t touch the sides of the still. There should also be at least 1 inch between the plant material and the water level. Set the water boiling and close the lid of the still: Keep an eye on your still to make sure the distillate keeps condensing and flowing through the tubes; at some point you may need to add more water to the condenser to continue the cooling process. Once the distillation is finished, you can filter your essential oil through cheesecloth to remove any plant residues if you wish. Place your finished oil into a container: Use a dark glass or stainless steel container with an airtight lid to store your finished essential oil. Steam distillation also produces a hydrosol, or aromatic water; you can use this on its own as a fragrance, discard it, or return it to the reservoir if you plan to make another batch of oil immediately. Things to remember: Essential oil yields vary widely from plant to plant, and in all cases you will need a lot of raw material to produce just a few ounces of essential oil. If you’re planning on frequently distilling essential oils, it may make sense to invest in a large distiller (40 liters or so) and make larger batches at a time. Also, the materials in your distiller count: it’s best to use stainless steel elements and glass—never plastic—tubing, since these materials are nonreactive. Copper pots can also work with many plant materials but may react with some to produce impurities; this can be fixed by buying a bronze pot (copper alloyed with tin) instead. Aluminum pots are fine for distilling many essential oils but may react with plants that contain phenols, such as clove and wintergreen, so it’s important to know the composition of your plants before you start. Finally, remember that essential oils are often found in fragile parts of the plant such as the hairs, veins, and glands. Be careful not to break these if you’re harvesting your own plants, and handle the harvested material as little as possible before distilling it. You’ll end up with a higher yield of essential oils for all your hard effort. This entry was posted in Essential Oils, Purchasing Essential Oils on November 25, 2013 by Keith Cleversley. There really is an amazing variety of essential oils out there. Essential oils are extracted from the roots, bark, heartwood, seeds or fruits, leaves and even resins of various plants. In the interest of continuing to be a comprehensive resource on essential oils, we’ve included a brief list of the essential oils we sell organized by plant part used. Bark: Essential oils extracted from tree bark often have an earthy or spicy aroma and usually come from trees whose bark contains high levels of volatile oils, such as the cinnamon tree. Essential oils: Cassia, Cedarwood, Cinnamon Bark. Berry or Fruit: Some plant products that we think of as seeds, such as caraway and coriander, are technically berries or small fruits. In essential oil manufacture, these fruits are frequently dried and then steam distilled to produce an oil. Essential oils: Allspice Berry, Black Pepper, Caraway Seed, Coriander, Juniper Berry. Flowers: Undoubtedly the most famous types of essential oils are those derived from flowers. Widely used in perfumery and spa treatments, flower-based essential oils include such aromatic powerhouses as rose, jasmine, and lavender oil. This category also includes some entries we normally don’t think of as flowers at all, such as clove, which is actually a type of flower bud. Essential oils: Clove Bud, Chamomile (German), Chamomile (Roman), Geranium, Helichrysum, Hops, Lavender, Jasmine, Magnolia, Myrtle, Neroli, Rose, Ylang Ylang. Heartwood: The richest of woody scents is derived from distilling the heartwood of trees with aromatic properties. Heartwood-derived oils typically are very grounding and calming, suitable for use in meditation or for easing states of nervousness. Essential oils: Camphor, Cedarwood, Palo Santo, Rosewood, Sandalwood. Leaves and flowering tops: This is the largest category of essential oils, as most aromatic plants contain essential oil glands in their leaves. Many Mediterranean edible herbs, such as oregano, basil, and bay laurel, release essential oils from their leaves when heated, which suggests that cooking may once have been the earliest method of essential oil extraction. Essential oils: Basil, Bay, Bay Laurel, Catnip, Cinnamon Leaf, Citronella, Clary Sage, Cypress, Eucalyptus, Fir Needle, Geranium, Hyssop, Lemongrass, Marjoram, Melissa, Mugwort, Myrtle, Niaouli, Oregano, Palmarosa, Patchouli, Pennyroyal, Peppermint, Petitgrain, Pine Needle, Radiata, Ravensara, Rosemary, Sage, Spearmint, Spruce, Sweet Annie, Tea Tree, Thyme, Verbena, White Sage, Wintergreen, Wormwood, Yarrow. Peel: Essential oils extracted from citrus fruits are in a class of their own: too delicate for steam distillation, citrus oils are extracted from the rind of the fruit by compressing it in a method called cold extraction or cold pressing. Essential oils: Bergamot, Blood Orange, Grapefruit, Lemon, Lime, Mandarin, Sweet Orange, Tangerine. 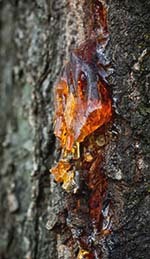 Resins: Some plants produce gummy exudates known as resins to protect themselves from extreme temperature changes and predatory insects. Often, these natural resins yield essential oils with health benefits for humans as well. Resin-based essential oils include famous Biblical commodities such as labdanum, frankincense, and myrrh. Essential oils: Elemi, Frankincense, Labdanum, Myrrh . 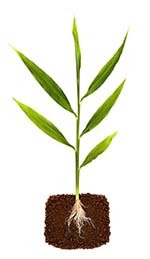 Roots: Roots anchor the plant in the ground and help support its structure; it makes sense that oils distilled from roots have similar supportive and grounding properties for the human psyche. Root-based essential oils can add substance and balance to an oil blend, and are commonly used in contemplative practices. Essential oils: Ginger, Spikenard, Vetiver. Seeds: After leaves, seeds were probably one of the earliest flavoring ingredients used in cooking, as well as being a vital part of herbal medicine. Seeds are frequently crushed to begin the release of their aromatic compounds, and then steam distilled. Essential oils: Angelica, Anise, Cardamom, Carrot Seed, Fennel, Nutmeg, Star Anise. Of course, this list is not meant to be comprehensive—it would take a whole book, or possibly several, to give you a complete guide of all the essential oils on the market. By providing a guide to our essential oils according to plant part used, we hope to cover the most popular and therapeutically useful essential oils, while also giving our customers a deeper appreciation of the plants that form an integral part of aromatherapy. This entry was posted in Essential Oils, Purchasing Essential Oils and tagged oils for aromatherapy on October 9, 2013 by Keith Cleversley. Lavender essential oil is quite possibly the most popular oil in the world, so we think it only makes sense to go a little more in depth about how to use lavender essential oil. The therapeutic properties of lavender (Lavandula angustifolia) have been known for centuries if not millennia: hailing from the Mediterranean regions of Turkey and the Middle East, lavender oil has been used as a fragrant perfume, insecticide, skin tonic and wound salve since ancient times . Lavender appears in the Bible under the name “spikenard”, and is endowed with protective powers in the Old Testament. The Romans also infused their communal baths with lavender oil and used the flowers to flavor candy and foods. These days, obtaining true lavender essential oil can be more challenging than you would think: many unscrupulous vendors dilute their lavender oil with spike lavender (Lavandula latifolia), or even synthetic lavender oil to increase their yields. Lavender oil that contains these admixtures is not considered therapeutic grade and is not suitable for aromatherapy. While spike lavender does have its own uses in aromatherapy, it posesses different properties than true lavender. Even worse are lavender oils containing synthetic components, as these do not have any therapeutic effect. As it turns out, simply combining all the compounds of lavender essential oil in a lab does not a true lavender oil make! The first, most basic step in learning how to use lavender essential oil in aromatherapy is to start with a real, unadulterated organic lavender oil that is therapeutic grade. There are a few different ways to use lavender essential oil in aromatherapy. 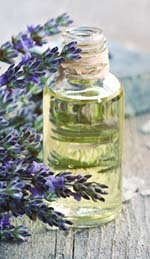 Many people simply inhale lavender oil straight from the bottle to achieve a calm state of mind and reduce nervousness and stress; a couple sniffs from the bottle, or a dab of diluted lavender oil applied to the insides of the wrists, is commonly used to calm the nerves before potentially stressful situations such as job interviews and exams. Diffusion aromatherapy with lavender oil is also used to treat coughs and congestion by loosening mucus , and may have insect repellent properties . Lavender oil is used topically to treat insect bites and minor wounds, especially burns . A mild analgesic, lavender essential oil may be applied in small amounts to the temples to ease tension headaches . As with any essential oil, we recommend that you be conservative the first few times you work with lavender oil. Though lavender oil is one of the few essential oils commonly used at full strength, unless you have a lot of experience with this oil we recommend diluting it in a carrier oil. The standard ratio is 12 drops of essential oil per 1 fluid ounce of carrier oil or lotion. Always conduct a patch test on a non-sensitive area of skin (the inner arm or wrist works well) with an oil you’ve never used before applying it to your skin. Furthermore, lavender oil should not be used on prepubescent boys because it contains phytoestrogens that might interfere with normal male puberty . In large amounts, lavender oil can also cause drowsiness due to its calming effects, so it’s a good idea to use this essential oil sparingly. With so many versatile uses and a gentle profile of action, it’s easy to see why lavender oil has retained its popularity among aromatherapy practitioners. We hope this short guide to how to use lavender essential oil has helped you discover your perfect use for this wonderful oil! 1. McCoy, Joe-Ann, and Jeanine Davis. “Lavender: History, Taxonomy and Production”. NC Herb: North Carolina State University. Last modified October 22nd, 2007. http://www.ces.ncsu.edu/fletcher/programs/herbs/crops/culinary/lavender_mccoy.html. 2. “Health Benefits of Lavender Essential Oil”. Organic Facts. Accessed June 26th, 2014. http://www.organicfacts.net/organic-oils/natural-essential-oils/health-benefits-of-lavender-essential-oil.html. 3. Turner Ashley. February 21st, 2013. “13 Uses for Lavender Oil: The Only Essential Oil You’ll Need”. MindBodyGreen. http://www.mindbodygreen.com/0-7769/13-uses-for-lavender-oil-the-only-essential-oil-youll-need.html. 4. “Lavender Essential Oil | Contraindications”. Wikipedia. Last modified June 8th 2014. http://en.wikipedia.org/wiki/Lavender_oil#Contraindications. This entry was posted in Aromatherapy, Essential Oils, Purchasing Essential Oils on July 14, 2013 by Keith Cleversley. With so many different plant oil-based natural products to choose from in today’s digital marketplace, finding quality essential oils can be a daunting task. Knowing the different types of essential oil becomes even more important if you want to use plant-based oils in aromatherapy applications. Some essential oils that work great as fragrances or in cleansing products may not be suitable for aromatherapy work. A lot depends on how the essential oil is made, which is why we decided to compile this short, handy list of the types of essential oil by method of production. Steam-distilled oils: Steam distillation is unquestionably the most popular method worldwide for obtaining plant essential oils. It may also be one of the most ancient methods of essential oil production. In steam distillation, raw plant materials such as flowers, leaves, roots or seeds are placed in cooking chambers above a boiler. Steam from the boiler is allowed to flow over the plant material in the chamber to extract the plant’s volatile constituents. As the steam condenses into liquid, it yields the herbal material’s essential oil. Sometimes a hydrosol, or aromatic water, is also obtained in steam distillation. The essential oil and hydrosol are separated by further fractionation. Steam distillation is the preferred method of extracting essential oils because it’s relatively cheap and easy, and yields a pure essential oil with no chemical residue. Furthermore, steam distillation is effective for almost all kinds of plant material except very delicate flowers such as jasmine, whose volatile oils are destroyed by being steamed at high temperatures. Expressed Oils: It’s also possible to extract essential oils by physically pressing or squeezing plant material. This process is analogous to squeezing an orange or apple to extract the juice. Because no heat has been used in the extraction process, essential oils made by physical extraction are sometimes called cold-pressed oils. Cold pressing is a good method for extracting essential oils from robust yet pliable plant material, such as the rinds of citrus fruit; as you might expect, citrus oils such as lemon, sweet orange, and lime oil are sometimes made using cold expression. Absolute/Concrete Oils: Some types of essential oil are produced by solvent extraction and may or may not be suitable for aromatherapy depending on the extraction method. Take absolute oils: these are created from the residue left over when plant material has been extracted using a chemical solvent such as ethanol or hexane. Some plants may yield both an essential oil and an absolute oil. Absolute oils are usually very thick and viscous, and darker in color than their essential oil counterparts. Fragile flowers such as jasmine cannot be steam distilled and are only available as an absolute oil. Prior to the modern era, jasmine flowers had to be extracted by a process called cold enfleurage, which uses lard as the solvent. Thankfully, these days you can get therapeutic jasmine oil that has been made using cold CO2 extraction, a clean process that doesn’t leave any chemical residues in the finished oil. Solvent-Extracted Oils: With that, we come to our last category, solvent-extracted essential oils. Hexane is often the solvent of choice in this method. Solvent extraction is a very efficient method of making essential oils, with only 0.5% of every batch lost as waste. However, solvent extraction is also an expensive method and usually limited to large-scale commercial operations. Finally, this method may leave chemical residues in the finished oil, so we don’t recommend using solvent-extracted essential oils in aromatherapy. In general, steam-distilled essential oils and hydrosols are the gold standard for aromatherapy applications. More recently, essential oils made using cold CO2 extraction are also catching on in aromatherapy. Whether you want to use essential oils as a perfume, cleanser, or in aromatherapy, we hope this guide to the different types of essential oil has helped you discover the essential oil that will work best for you! This entry was posted in Essential Oils, Purchasing Essential Oils on July 5, 2013 by Keith Cleversley. Whether you are just now embarking upon the incredible journey of learning about and using essential oils, or have been working with these valuable medicines for some time, you will soon find that selecting the best possible essential oil supplier makes all the difference in your experience. The truth is, not all essential oils are created equal. And, with the demand and market for these wonderful gifts of nature growing exponentially and rapidly, it is becoming more and more difficult to determine which essential oils are truly high quality, and which are cheap knock offs of the real thing. There are several aspects that you want to consider when selecting an essential oil supplier. First of all, it is important to understand that there is no regulation on essential oil production in the U.S. or elsewhere. Therefore, it is the buyer’s responsibility to ensure that she is purchasing essential oils from a trusted source. Look for an essential oil supplier with a web page that demonstrates real knowledge about the products being sold – the more information, the better. Make sure that the essential oils you are considering purchasing are not adulterated with synthetic chemicals or filler oils. Many essential oils are mixed with less expensive essential oils or cheap vegetable oils. There is no law to stop an essential oil supplier from mixing an essential oil with 90% vegetable oil, and they can still sell the oil as “pure, natural, and organic”. Be sure to do your research and spend some time exploring the webpages of different suppliers. If a supplier is not diluting the essential oils, they will almost certainly say so with pride. 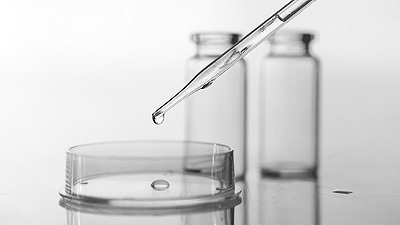 If you would like to be sure that your supplier is not adulterating products, ensure that they provide purity testing for EACH BATCH of essential oils, and that they make GCMS (Gas Chromatography – Mass Spectrometry), Certificates of Analysis, and MSDS (Material Safety Data Sheets) available to all customers. In particular, the GCMS and Certificates of Analysis will let you verify that you are purchasing an essential oil that is pure and unadulterated. If you come across a supplier that advertises products as “organic”, this is a good sign, but when it comes to essential oils, organics are only one part of the issue. As you may know, USDA Organic status is quite an expensive little label for any company to pay for, and many of the big essential oil companies that label oils as Certified Organic are actually making significant profits selling these oils to the flavor and food products industry. In the United States, for an essential oil to be labelled Food Grade and safe for internal ingestion, it must be distilled twice. Thus, any company that is selling essential oils and listing them as safe for internal consumption is re-distilling oil. Essential oils that are distilled for internal consumption are also often prepared under higher than normal pressure. Both of these factors create an essential oil that is less vibrant and significantly more processed than essential oils that are produced under normal pressure. Therefore, a USDA Organic essential oil may actually be less vibrant and beneficial for health than a small-batch artisan essential oil. We highly recommend selecting an essential oil supplier who works with smaller, independent micro-distilleries who produce small batches of high-quality, minimally processed essential oils. These oils contain the most potent essence of the plant possible, and will have the most potent health benefits. Many companies that cannot afford USDA Organic certification will still proudly state that they do not use plant matter treated with synthetic fertilizers and chemicals, and if you feel you can trust such a company, such a statement may be sufficient. Essential Oil Exchange is a unique essential oil supplier that is working to provide access to affordable, high-quality essential oils as well as to create a well-informed community of individuals passionate about these marvelous medicines. We are always working to bring you accurate information about the many uses of essential oils, and strive to ensure the quality of each batch of essential oils that we provide by working with small, artisan distillers from all over the world. Furthermore, for $10 a month, you can become a member of our cooperative and receive 50% off of every purchase – true wholesale prices – for as long as you remain a member. We hope that the benefits of our model of business are clear, and that you consider us seriously in your search for reliable, high-quality essential oils! This entry was posted in Purchasing Essential Oils on December 20, 2012 by Keith Cleversley.